Buy a property. Sell a property. Rent a property. Yes, subscribe me to your newsletter. 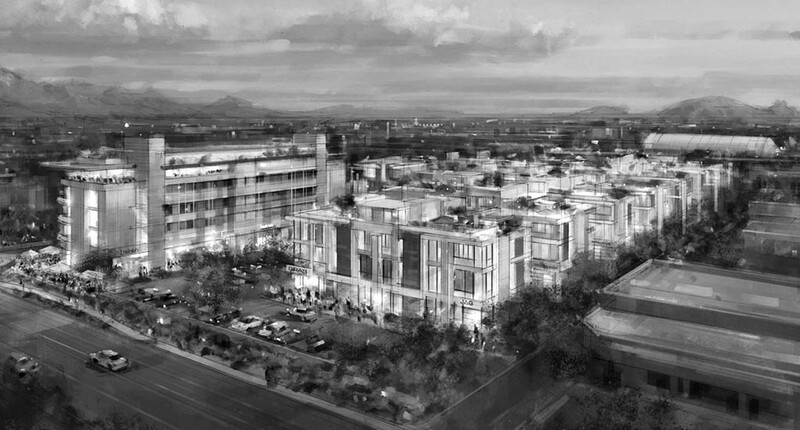 SOHO Scottsdale, also known as Bahia Live/Work & Townhomes, will be a mixed-use work, live, play development, by creating a unique development that consists of 64 individual ground level office spaces with loft-style residential above. The work/live units will have variety for the selective Entrepreneur, the target demographic for these unique spaces. There will be units with both 3 and 4 floor options, as well as lofts. The ground floor will include 2 parking spots per unit and approximately 400 to 450 sf of office workspace. The floors above will feature creative work/live spaces and have the addition of rooftop studios to round out the work/live opportunities. 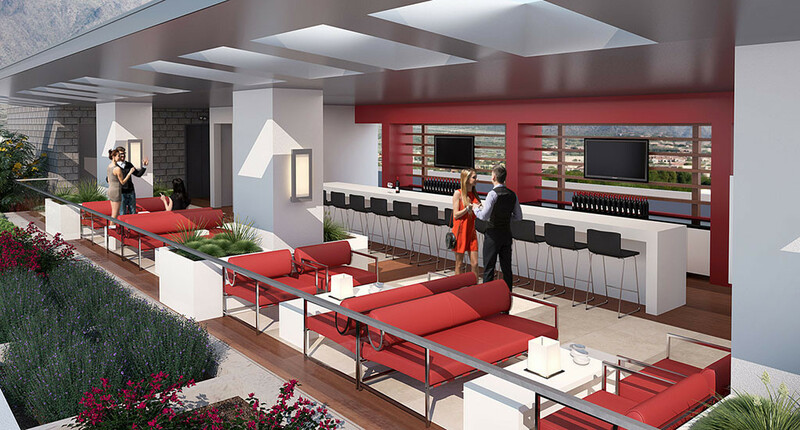 Having rooftop studios is extremely rare in the Valley and will offer stunning views in every direction. There will be atrium courtyard areas spread throughout the site. They are designed as open space with green areas built to incorporate artwork from local artists living on site. The balance of the amenities includes a pool and multiple areas for soft seating. 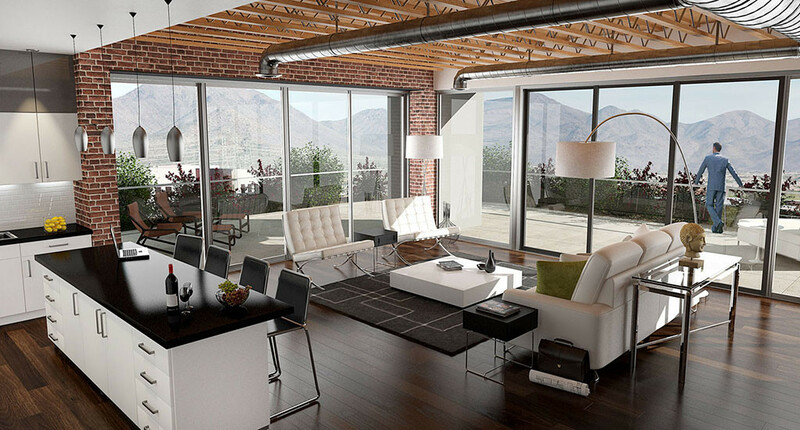 The design will be contemporary with an industrial feel, including elements like roll up garage doors and metal framing. professionalism. The receptionist will call over to the owner and let the member know they have someone waiting for them. Additional for pay services would include answering calls, booking additional office usage and secretarial work. During non-working hours there would be FOB controlled access and all office bookings would be done by way of a website. Outside members may be invited to join for a fee. SOHO Scottsdale will create an office/retail hub at the corner of 92nd and Bahia which will include business/employment support services such as a coffee shop, FedEx store and/or a lunch and diner restaurant. There will be 14 additional work/live units above the corner commercial building. The commercial corner will also have office conference space available for the loft owners as well as tenants in the area. There will be a centralized executive office with Concierge Services that will be an integral component of the development in which all unit owners would be members. The space will be about 1,500 square feet and have a reception area, small conference room and a mailroom complete with FedEx services. The front desk would have a receptionist during business hours who will greet visitors who come to meet with the owners of the Live / Work offices. All activity comes through this area to ensure safety and professionalism. The receptionist will call over to the owner and let the member know they have someone waiting for them. Additional for pay services would include answering calls, booking additional office usage and secretarial work. During non-working hours there would be FOB controlled access and all office bookings would be done by way of a website. Outside members may be invited to join for a fee. 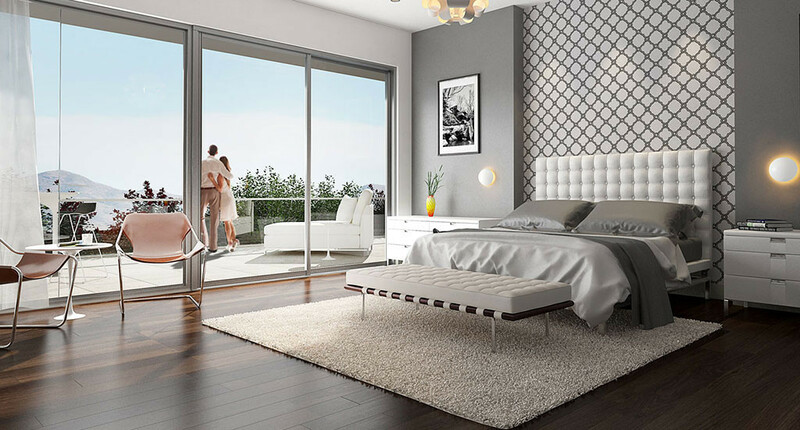 Looking to sell a property at SOHO Scottsdale? East Valley Urban is a full service real estate team focusing all their efforts to the urban living lifestyle of Phoenix, Scottsdale & Tempe. Licensed under the HomeSmart family, our team has the resources of a Fortune 500 company to ensure our success in assisting all of our clients in the sale, purchase or renting of a new home.